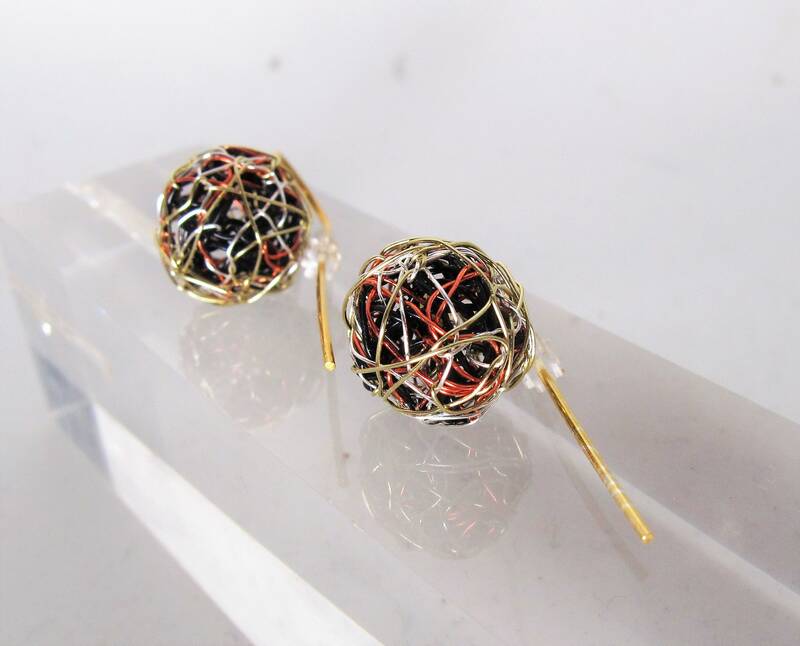 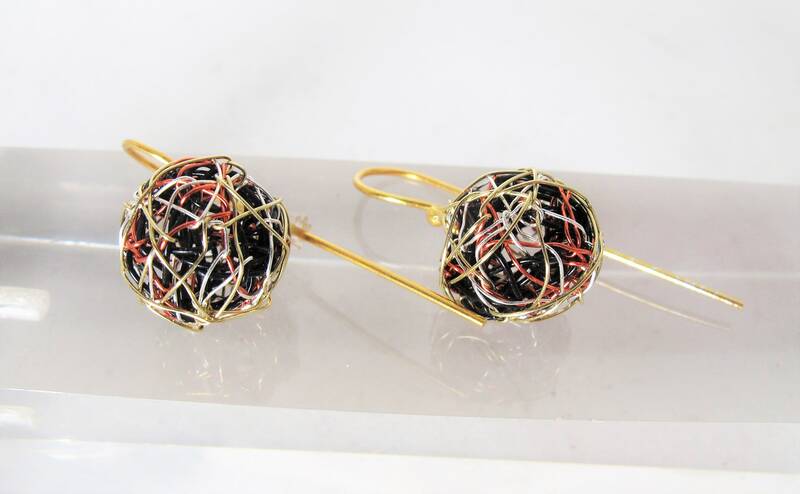 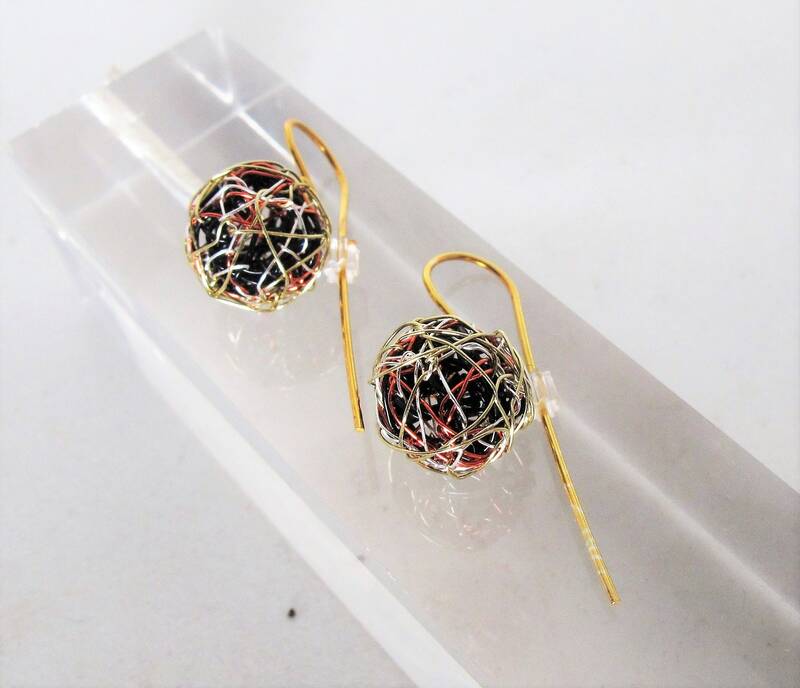 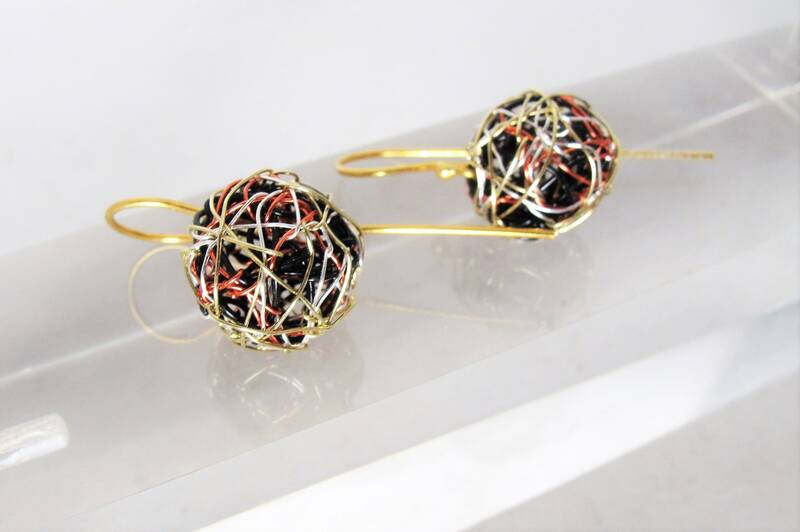 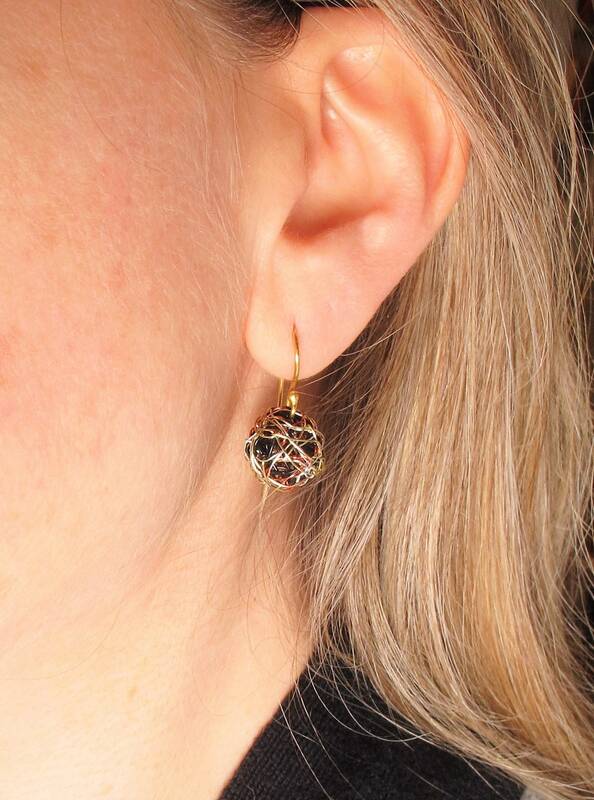 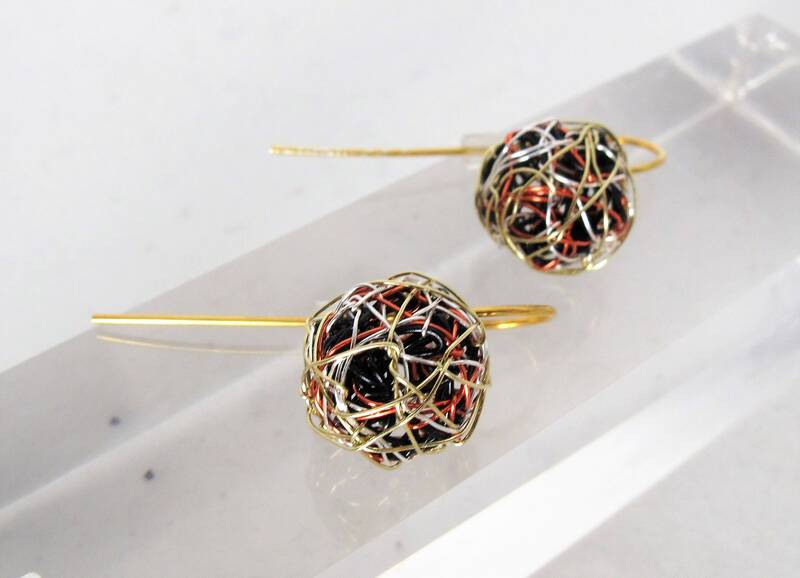 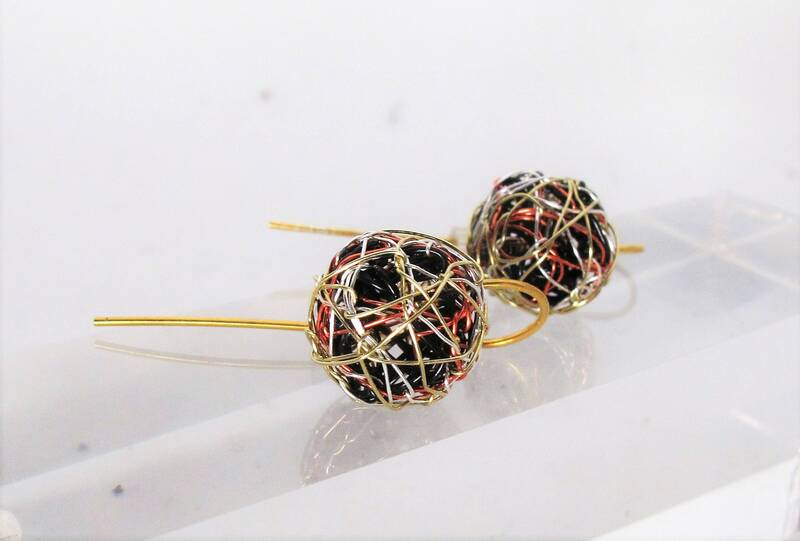 14k gold ball earrings, handmade ​​from solid gold, colored copper wire, and silver. 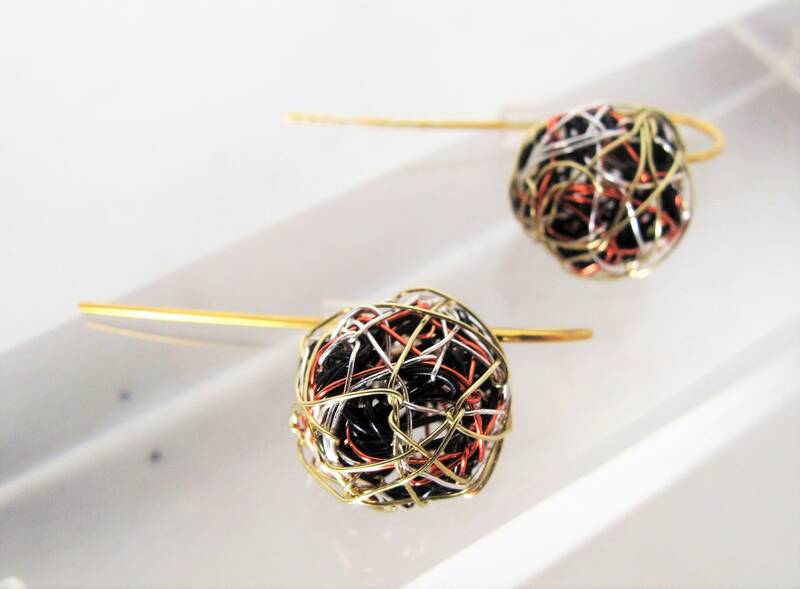 The diameter of each wire earring, geometric jewelry is 1.3cm (0.51in). 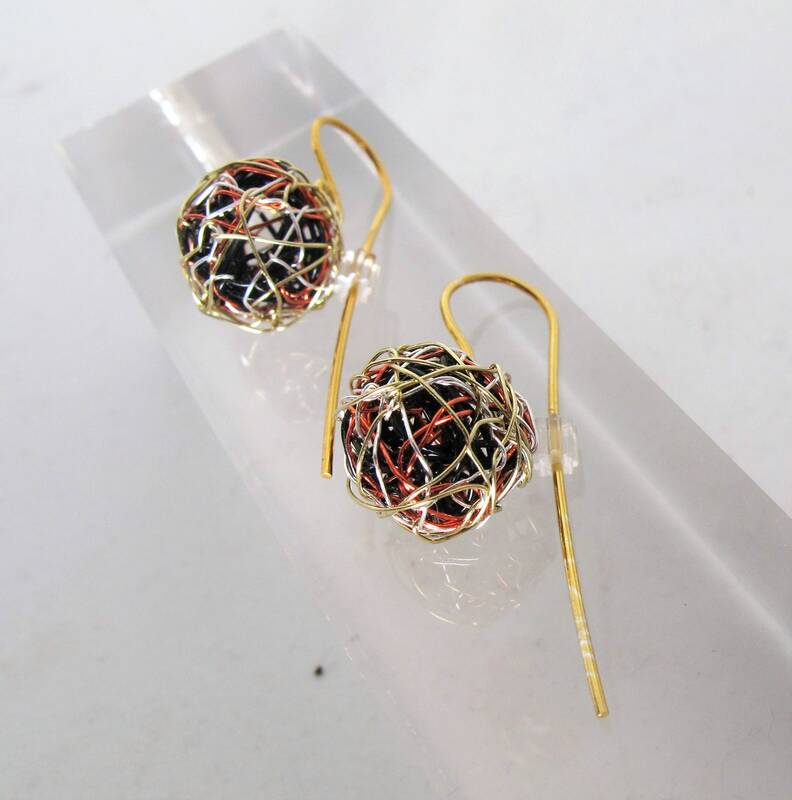 Clips from which standing the earrings are solid gold, The sphere is empty thus the wire art jewelry earrings are very light.